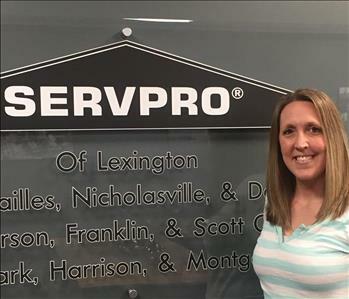 Jason has been the Owner and President of SERVPRO of North and South Lexington and Anderson, Franklin, and Scott counties for the past 15 years. 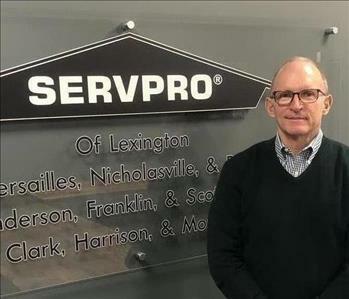 He recently acquired SERVPRO of Versailles, Nicholasville and Danville and SERVPRO of Bourbon, Clark, Harrison and Montgomery. Jason takes great pride in excellent service and ethical work. He and his wife, Jessica, have four children and are currently growing their family through international adoption. The Phillips formed Story Changers in 2014, a non-profit organization, that supports over 100 vulnerable children in East Africa. They reside on a farm in Jessamine County. Jeff Smith is the co-owner of SERVPRO of Lexington and SERVPRO of Anderson, Franklin, & Scott Counties. He has been with SERVPRO for over 10 years. 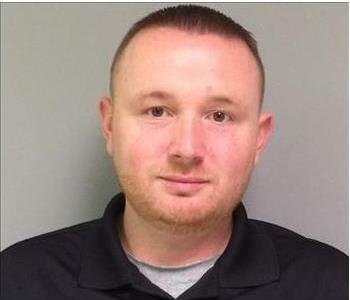 He spent three and half years with SERVPRO corporate in the Large Loss Division. In 2012 SERVPRO created large regional commercial teams called Extreme Teams. He then left corporate and oversaw the extreme team based out of Effingham, Illinois. He joined Jason Phillips as a co-owner in January of 2015. He has been married to Jill Simpson Smith for 21 years and they have 2 children together, Claire and Cameron. In his free time Jeff enjoys fishing and coaching baseball. Linda works in the office handling our job files, estimates, and audits for our corporate accounts with insurance companies. She has been with SERVPRO for nearly 9 years. She is WRT certified by the IICRC. In her free time she enjoys gardening and bird watching. 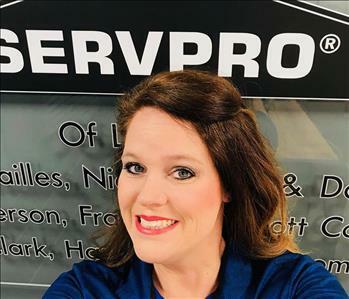 Emily has been with SERVPRO for 5 years. She handles customer accounts, invoicing, and other administrative tasks. She enjoys working with the customers and insurance companies. She is WRT certified by the IICRC. In her free time she enjoys reading and spending time with her son Jaxon. 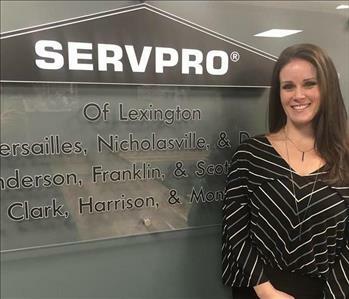 Kendall has been with the SERVPRO team since July of last year. She is a University of Kentucky graduate with a B.A. in English. Her favorite part of the job is managing the social media outlets. In her free time she enjoys spending time with her family, friends and her dog, Bleeker. Renae has been with SERVPRO since April. She is representing Bourbon, Clark, Harrison, Montgomery and Scott Counties. For the past eight years she has had a career in banking. She is from Paris, Kentucky and now resides in Georgetown. Renae enjoys coffee, traveling, working out, shopping, and spending time with her cat, Click. Megan is the office manager at SERVPRO. Megan is married to a man named Lars and has four children. In her spare time, she enjoys spending time on the lake with her family. She has several years of experience in Administrative and office work. 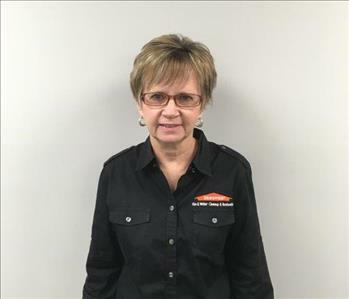 Becky has been at SERVPRO for over three years. She is certified through IICRC in water and fire. Becky’s favorite thing about her job is getting the opportunity to help people. In her spare time, she enjoys going to the lake, hiking and camping. Travis has been in the restoration industry since 2012. 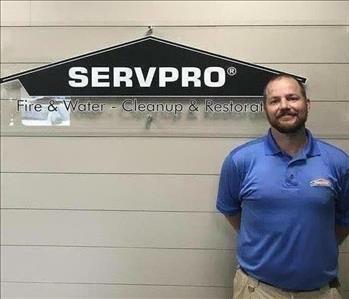 He started at SERVPRO in 2016. He is ASD and WRT certified. His favorite thing about working at SERVPRO is meeting new people every day. Annie is our newest marketing team member representing Franklin, Mercer, Anderson, Boyle and Woodford counties. She is originally from Cincinnati, and graduated with a Public Health degree from the University of Kentucky last winter. In her spare time she enjoys going to football games, visiting with family, and cuddling with her pup, Murphy. 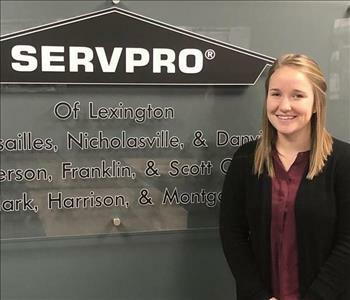 Kate started working at SERVPRO in October. She is representing Fayette and Jessamine counties. 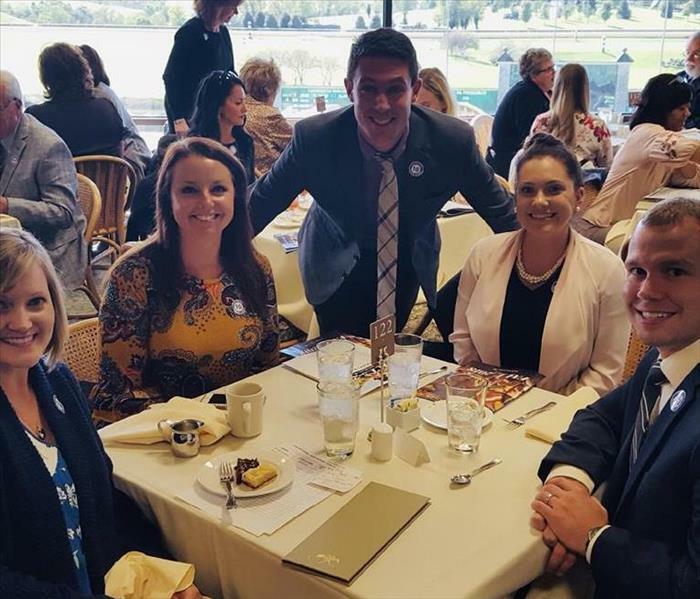 Her favorite part about the job is meeting new people and developing new relationships. In her spare time she enjoys being with her two daughters. David Hudson is the C.F.O. and has been with SERVPRO since July. David is married to a woman name Sylvia. They have been married for 44 years and have a daughter named Brooke. His favorite part about working at SERVPRO is finding out about a new business and helping the company with his financial skills! In his spare time he enjoys hiking and camping.